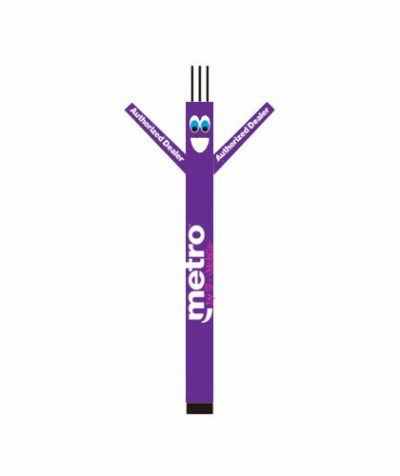 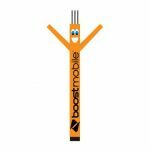 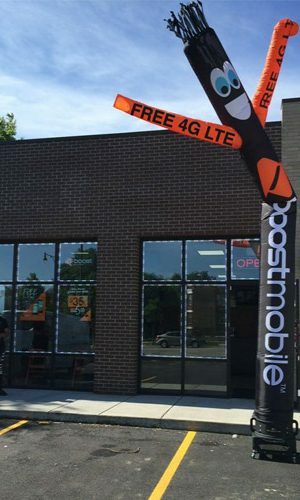 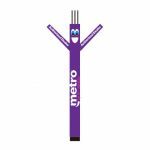 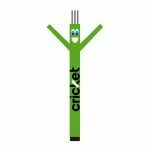 METRO PCS AUTHORIZED DEALER 10 FT DANCING BALLOON: WITH BOTH HANDS PRINTED. 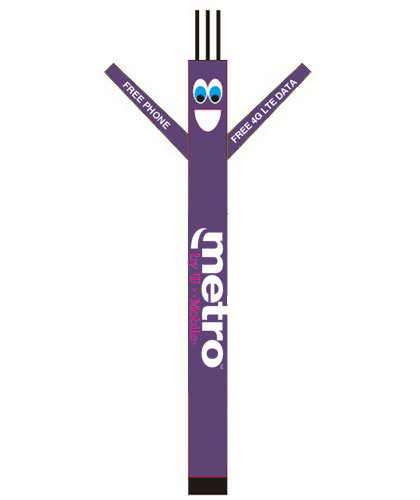 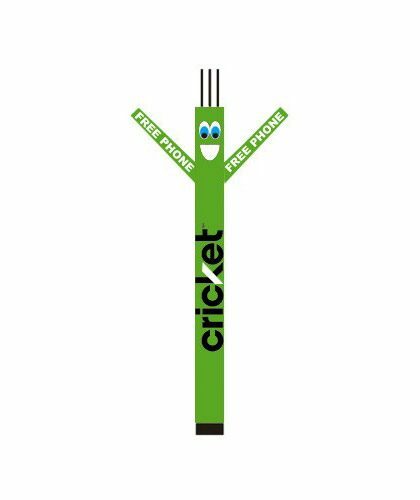 Metro pcs dancer comes with logo digitally printed double side on it. 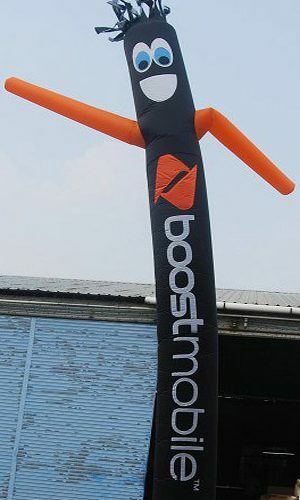 10 FT DANCING BALLOON EASY TO SET UP ANY WHERE. 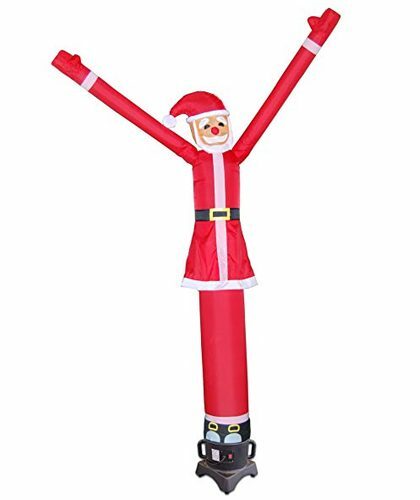 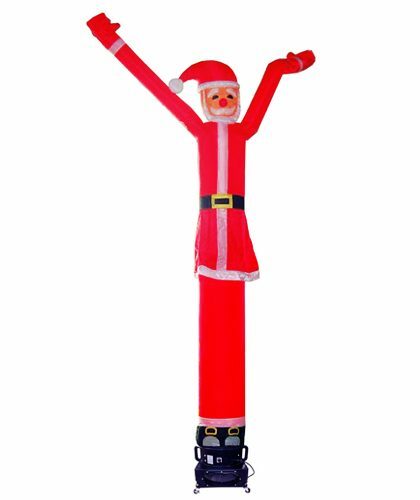 FOR THOSE WHO HAVE SPACE ISSUES, THIS 10 FT DANCING BALLOONS IS EASY TO USE AND SET UP ANYWHERE YOU LIKE. 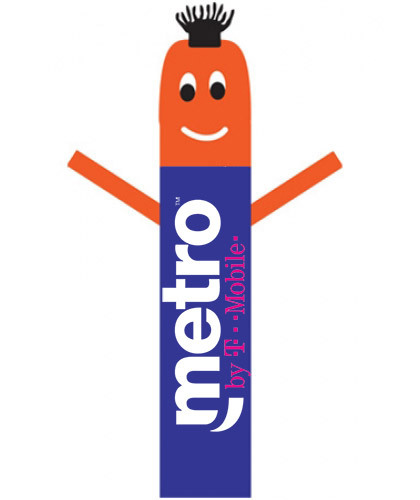 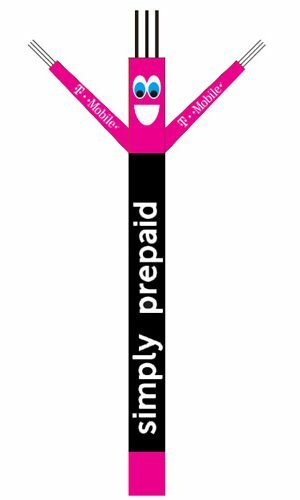 BOTH HANDS ARE WITH METRO PCS LOGO ON IT. 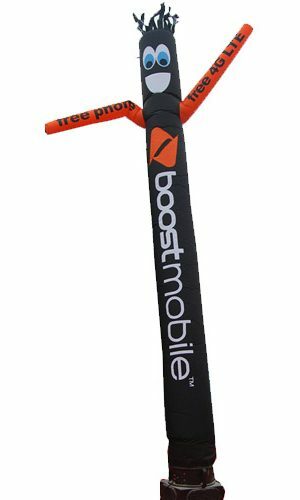 It comes with 12 inches diameter velcro mount. 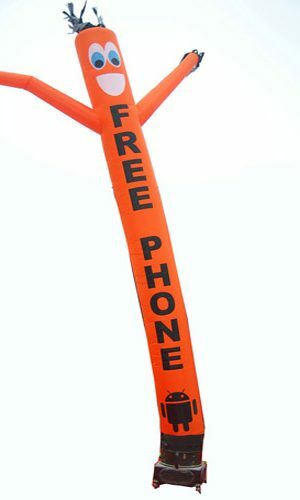 Works with all 12 inches blowers.